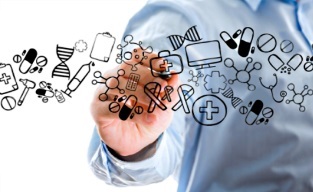 Custom Synthesis & Services provides complete strategic solutions to improve the laboratory efficiency and throughput, with optimized resource integration and interdiscipline co-operations. Organic synthesis is a special branch of chemical synthesis dealing with the synthesis of organic compounds. In the total synthesis of a complex product it may take multiple steps to synthesize the product of interest, and inordinate amounts of time. Skill in organic synthesis is prized among chemists and the synthesis of exceptionally valuable or difficult compounds has won chemists such as Robert Burns Woodward the Nobel Prize for Chemistry. If a chemical synthesis starts from basic laboratory compounds and yields something new, it is a purely synthetic process. 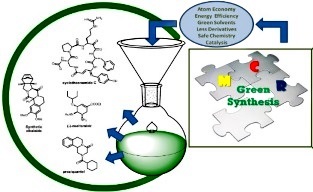 If it starts from a product isolated from plants or animals and then proceeds to new compounds, the synthesis is described as a semisynthetic process. Our team encompasses professional experienced chemists and biologists who provide very extensive and professional Custom Synthesis supports. From milligram(Labs) to gram(Pilot) quantities of customized organic compounds can be produced in our own and partner's facility, and for kilogram(Process) manufacturing sacles with our industrial partners. Simply provide the chemical name, structure or CAS number and with your desired purity level, then our experienced scientific team will evaluate and design the organic synthetic route based on our extensive Molarcular Libraries search, Structure Optimization experiences and the seamless team works from our professional partners. 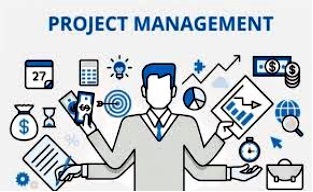 For existing items & project impovements of Performance, C/P and Environmental Sustainability, the more information you can provide us, the more the possibility a significant better production process and solution that could be implemented with shorter turnaround time and more competitively priced, performance, C/P and environmental sustainability. 7. Work-up procedures , 8. Purification methods, 9. Yields and any analytical data. 7. Special dosage form development . The Structure Analysis capability plays the key role of best structural analysis and design that also based on molecular library retrievel and constructions. Target species purities is must for valid and precise structure analysis, and is also for research, quality control and proceess requirements. Our group is the most sophisticated, the largest R&D and manufacturing, technology applications and service team in Asia for the Downstream Processing Solution with gloabl class equipments and materails. Our equipments are internationally comparable system with GE, Novasep, Agilent and other products (local performance is even better). Dr. Chen and team members with the background of new drug development and synthesis method development and research, have assisted many medical and pharmaceutical institutes and manufacturers to assist in the customized synthesis. 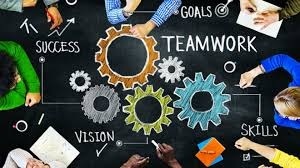 The JSC synthesis team has more than 10 years of experience in the synthetic field, developing services from early stage initialization to commercial production that provides customized services through expertise and special specifications of materials , based on professional technology, knowledge and capabilities. 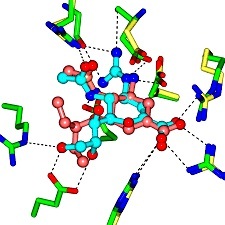 With nearly 10 years of experience in the synthesis of polyethylene glycol (PEGs) derivatives in the pharmaceutical industry, the JSC offers a variety of high purity polyethylene glycol (PEG) derivatives, Pegylated nanoparticles resembling liposomes and polymeric micelles, and PEG hydrogels, PEG linkers that can perform a variety of applications. The de novo(scratch) or partial synthesis, modification, and formulation optimizations are the main goals of customized services. PEG refers to an oligomer or polymer of ethylene oxide. 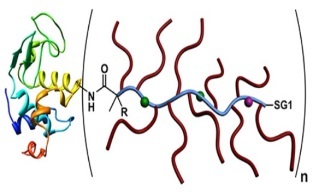 Because different applications require different polymer chain lengths, PEG tends to refer to oligomers and polymers with a molecular weight below 20,000 g/mol. Polyethylene glycol is ethylene oxide prepared by polymerization and is commercially available in a broad molecular weight range of 300 g/mol to 10,000,000 g/mol. it contains linear, branched, multi-armed, mono-functional, and polyfunctional types, and the structure can be bound to the terminal, such as maleimide, aldehyde, oxyamine, etc., and their molecular weight (MW) is 350 to 40000 range. Also provides customize modofication of the API on the carrier for the pharmacokinetics scientists. 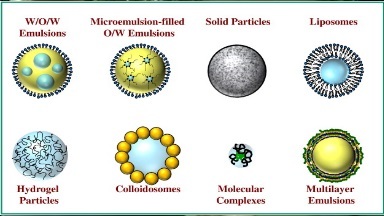 Liposomes and polymeric micelles, carrier hydrogels and carrier linkers can perform a wide variety of applications. 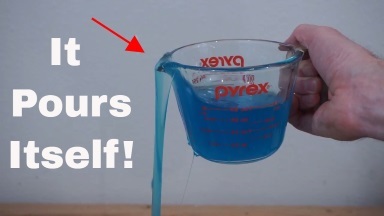 Ionic liquids are generally moderate to poor electrical conductors, non-ionized (e.g., non-polar), highly viscous, and often exhibit low vapor pressures. 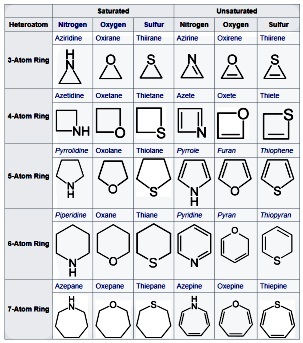 Their other properties are diverse: many have low flammability, thermal stability, have a wide liquid area, and have good solvation properties for polar and non-polar compound ranges. Miscible solvents with water or organic ionic liquids vary with the choice of side chain length and anion of the cation. They can be functionalized to act as acids, bases or ligands and are precursor salts in the preparation of stable carbenes. Due to its unique properties, ionic liquids are attracted in many fields, including more and more attention to organic chemistry, electrochemistry, catalysis, physical chemistry and engineering..
For Heterocyclic compounds, natural derivatives, drug-like compounds, etc. 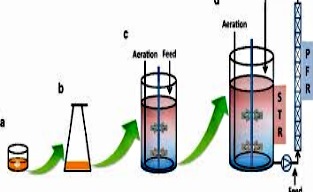 Synthesis is the purpose of a chemical reaction to obtain a product or several products. This occurs through physical and chemical manipulations and usually involves one or more reactions, started by selecting a compound that is known to be a reagent. Various reaction types can be used to synthesize products or intermediates. Many reactions require some form of post-processing procedure before the final product is separated. The amount of product in chemical synthesis is the reaction yield. 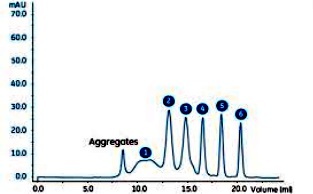 In general, the chemical yield is expressed as the weight in grams or as a percentage of the total theoretical amount of product that can be produced. These products already have a certain status in the market, and many of our customers have chosen it because of its versatility and ease of understanding. Formulations are a very important part of pharmacy because they are essential for ensuring that the active part of the ingredient is delivered to the correct site at the right concentration and at the right rate. /> They need to have an acceptable taste, be stored for a sufficient period of time, be safe and effective at the time of use, and be physically and chemically stable enough to be transported from their place of manufacture to the hands of the end consumer. The well-designed formulation for a particular application is safer, more effective, and more economical than any component used alone. The sol can be deposited on the upper substrate to form a thin film by coating procedure etc. 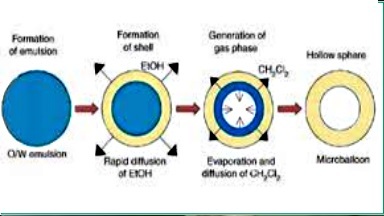 or be casted into a suitable container with the desired shape (eg, ceramic, glass, fiber, film, aerogel) or for synthetic powders (eg microspheres, nanospheres). Even small amounts of dopants, such as organic dyes and rare earth elements, can be introduced into the sol and eventually uniformly dispersed in the final product. It can be used as an investment casting material in ceramic processing and manufacturing, or as a means for producing very thin metal oxide thin films for various purposes. 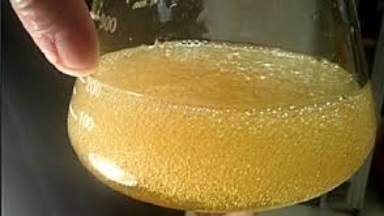 Microspheres are small spherical particles with a diameter in the micrometer range (usually 1 μm to 1000 μm). Glass, polymer and ceramic microspheres are commercially available. Solids and hollow microspheres vary greatly in density and are therefore used in different applications. Hollow microspheres are often used as additives to reduce the density of the material. 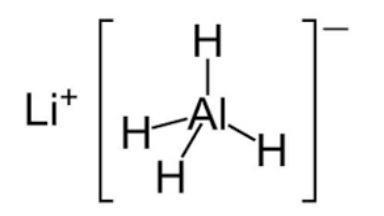 Dihydrides are molecules with two anhydride functional groups. Examples of dianhydrides: Pyromellitic dianhydride (PMDA), 3,3',4,4'-oxydicarboxylic dianhydride (ODPA), 3,3',4,4'-benzophenonetetracarboxylic Dihydric anhydride (BTDA), 4,4'-hexafluoroisopropylidene diacetate (6FDA), benzoquinone tetracarboxylic dianhydride, ethylene tetracarboxylic dianhydride. Polyanhydrides are a class of polymers characterized by the anhydride bond that connect the repeating units of the polymer backbone chain. 1. Various types of bactericidal and fungicidal agents (CMIT/MIT, BIT, MIT, OIT, IPBC, BNPD.....), long-acting cationic anti-mildew inhibitors (PHMG), water treatment agents, water tanks additives/SKAF, etc. 2. The Organic, inorganic, metals and metal alloys, precious metal salts, metal organic chemicals, polymer, nano, materials. Biochemistry, immunology, antibodies, electrophoresis, pharmaceutical intermediates, laboratory equipment, etc. 3. Acetone、Acetonitrile、Dichlorometane, Ethyl Acetate, Heptane, Hexane, IPA, Methanol, MEK, NMP, THF, Water ...), DNA synthesis. 1. Regioselectivesynthesis of imidazo[1,​5-​a]​quinoxalinesand methyl N​phenylbenzimidateson an ionic liquid support. Chen, Li-Hsun; Kao, Chih-Hsien; Dhole, Sandip; Barve, IndrajeetJ. ; Shen, Li-Ching; Chung, Wen-Sheng; Sun, ChungMing*. RSC Advances (2016), 6(80), 76123-76127. 2. A Novel Mechanistic Study on Ultrasound-​Assisted, One-​Pot Synthesis of Functionalized Benzimidazo[2,​1-​b]​quinazolin-​1(1H)​-​ones. Chen, Li-Hsun; Chung, Tsai-Wen; Narhe, Bharat D.; Sun, Chung-Ming*. ACS Combinatorial Science (2016), 18(3), 162-169. 3. Parallel synthesis and biological evolution of quinic acid derivatives as immunosuppressing agents against T-cell receptors. Huang, Chih-Yu; Chen, Li-Hsun; Huang, Hsuan-Yu; Kao, Feng-Sheng; Lee, Yun-Ta; Selvaraju, Manikandan; Sun, Chung-Ming*; Chen, Hueih-Min* , RSC Advances, (2015), 63 (5), 50801-50806. 4. Palladium-catalyzed regioselective synthesis of 2(2[Formula: see text]biphenyl)benzimidazole through C-H activation. Chen, Li-Hsun;Wu, Tz-Yi; Paike, Vijaykumar; Sun, Chung-Ming*. Molecular diversity(2013), 17(4), 641-649. 5. Enantioselective synthesis of (−)-(R) Silodosin by ultrasound-assisted diastereomeric crystallization. Barve, Indrajeet J.; Chen, Li-Hsun; Wei, Patrick C. P.; Hung, Jui-Te; Sun, Chung-Ming*. Tetrahedron, (2013), 69(13), 2834-2843. 6. Divergent ionic liquid supported synthesis of isolable guanidine linked quinoxalinone and benzodiamine. Chen, Li-Hsun; Xu, Zhan-Hui; Lin, Chun-Chung; Sun, ChungMing . Tetrahedron Letters, (2013), 54(6), 454-458. 7. Condensation-ring expansion reaction of [2.2.1]bicyclic carbinols with para-substituted phenyl amines: application to the preparation of [3.2.1]bicyclic N-aryl-1,2,3oxathiazolidine-2-oxide agents. Yang, Te-Fang*; Chen, Li-Hsun; Kao, Li-Ta; Chuang, Chih-Hsiang; Chen, Yong-Yen. 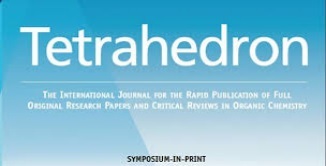 Journal of the Chinese Chemical Society (Weinheim, Germany) (2012), 59(3), 378-388. 8. Traceless polymer-supported divergent synthesis of quinoxalinones by microwave irradiation. Shen, Chien-Hung; Tseng, Chih-Chung; Tasi, Cheng-Hsun; Shintre, Suhas A.; Chen, Li-Hsun; Sun, Chung-Ming*. Tetrahedron(2012), 68(18), 3532-3540. 9. Divergent synthesis of unsymmetrical annulated biheterocyclic compound libraries: benzimidazole linked indolo-benzodiazepines/quinoxaline. Chen, Li-Hsun; Chang, Chia-Mao; Salunke, Deepak B.; Sun, Chung-Ming*, ACS Combinatorial Science (2011), 13(4), 391-398. 10. Soluble polymer supported divergent synthesis of tetracyclic benzene-fused pyrazino/diazepino indoles: an advanced synthetic approach to bioactive scaffolds. 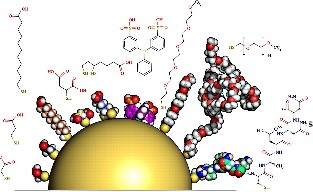 Lin, Po-Tsung; Salunke, Deepak B.; Chen, Li-Hsun; Sun, Chung-Ming*, Organic & Biomolecular Chemistry (2011), 9(8), 2925-2937. 11. Microwave promoted simple, efficient and regioselective synthesis of trisubstituted imidazo[1,2-a]benzimidazoles on soluble support. Chen, Li-Hsun; Hsiao, Ya-Shan; Yellol, Gorakh S.; Sun, Chung-Ming*, ACS Combinatorial Science (2011), 13(2), 112-119. 12. Selective reaction of camphor-derived exo-formyl [2.2.1]bicyclic carbinol with alkyl primary amines: application to the preparation of new chiral catalysts for asymmetric reduction of aryl ketones. Yang, Te-Fang*; Shen, Chien-Hung; Hsu, Chi-Tung*; Chen, Li-Hsun; Chuang, Chih-Hsiang, Tetrahedron(2010), 66(45), 8734-8738. 13. Multidisciplinary Synthetic Approach for Rapid Combinatorial Library Synthesis of Triaza-Fluorenes. Hsiao, Ya-Shan; Yellol, Gorakh S.; Chen, Li-Hsun; Sun, Chung-Ming*, Journal of Combinatorial Chemistry (2010), 12(5), 723-732. 14. Regio-and stereoselective rearrangements of formyl [2.2.1]bicyclic carbinols in methanol. Yang, Te-Fang*; Tseng, Chih-Hao; Shen, Chien-Hung; Chen, Li-Hsun; Kao, Li-Ta, Tetrahedron(2009), 65(47), 9854-9861. 15. Grignard reagent-promoted selective ring expansion and alkylation of formyl borneol and isoborneol: a new route to highly substituted cyclopentanes. Yang, Te-Fang*; Zhang, Zhong-Nian; Tseng, Chih-Hao; Chen, Li-Hsun, Tetrahedron Letters(2005), 46(11), 19171920. .